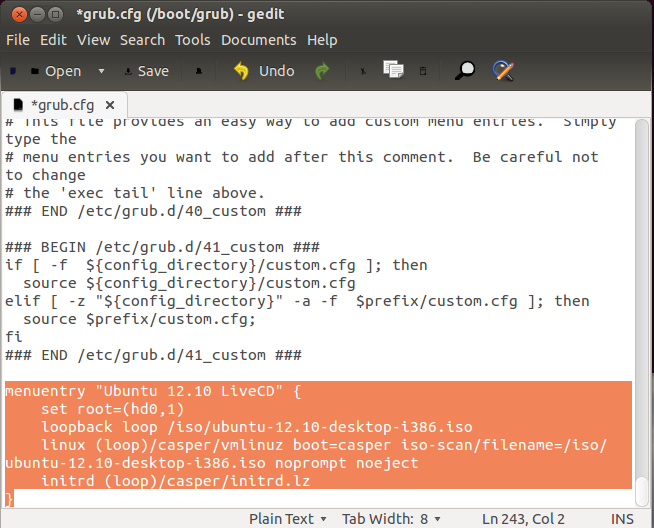 In this tutorial, we will see how to boot an iso file stored in your hard drive via the Grub2 boot menu. This tip is useful for users who don't have a live CD/DVD/USB, only the iso file of Ubuntu/Linux Mint. 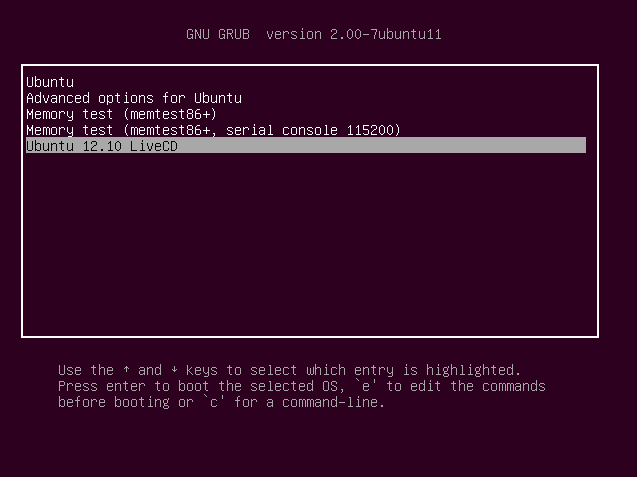 In this example, we will see how to boot from Ubuntu 12.10 iso file. You can change "Ubuntu 12.10 LiveCD" to any name of your choice. For the "set root=(hd0," option, I inserted the number "" referring to my hard disk (dev/sda1). If your hard disk is mounted as /dev/sda2, then set "", for /dev/sda5, set "" and so on.